Despite the fact health and safety policies at work have come under scrutiny in recent years for being too overprotective and precautionary, the majority of measures are absolutely necessary in order to keep employees and members of the public free from harm. 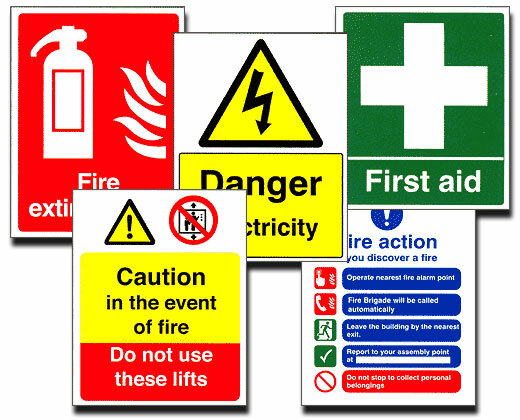 Health and safety failures cost Great Britain up to £18 billion each year. 400 people every year are killed in accidents caused by work related activities. Around 25 million working days are lost every year as a result of work-related accidents and ill-health. Over 25,000 people are forced to give up work every year as a result of work-related accidents and ill-health. These startling statistics will perhaps make you realise just how crucial legal legislation and workplace policy really are. But what responsibilities do employers and employees actually have? And what company health and safety facts can encourage you to make a change for the better? Here to explain is work injury specialists Accident Compensation 4UK. The main piece of legislation covering this topic in the UK is the Health and Safety at Work Act 1974. Although it imposes general duties on employers within the UK, the act also applies to employees as well as landlords, manufacturers, suppliers, and designers. In order to fulfil these responsibilities, employers should provide their workforce with necessary training and resources on health and safety. Accident rates are lower where employees genuinely feel they have a say in health and safety matters (14 per cent), compared with workplaces where employees do not get involved (26 per cent). Employee involvement in health and safety management relates to a more positive health and safety climate – 77 per cent felt encouraged to raise concerns in a good climate compared to 20 per cent in a poor one. Stronger employee involvement means better control of common workplace risks – very effective in 76 per cent of cases where employees were always consulted. Employees can learn about the risks through consultation. While slips and trips can occur practically anywhere, the awareness of them is higher when employees have an active involvement (62 per cent to 28 per cent). Research has also found that workplace health and safety committees, where certain members are selected by unions, have significantly lower rates of work-related injury too. At the end of the day, it really is in the interests of everyone’s future wellbeing that both employees and employers alike do their utmost to ensure that people are kept safe from danger. It is fair to say that the number of lives that have been saved by these laws is significant and that every one of them has been a victory for all of us!